other information Rounder 82161-6005-2, 2001. 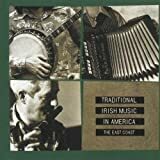 CD reissue of LP titled Irish Traditional Instrumental Music from the East Coast of America, vol. 1, Rounder 6005, 1977. Note that the reissue omitted one track: "The Clare Hornpipe" played by Martin Mulvihill. Notes by Mick Moloney.